For a war that left 60 million dead, countless lives permanently destroyed and hundreds of thousands homeless and in need, the Battle of Berlin proved to be a satisfactory climax and a victorious ending for the Allies. 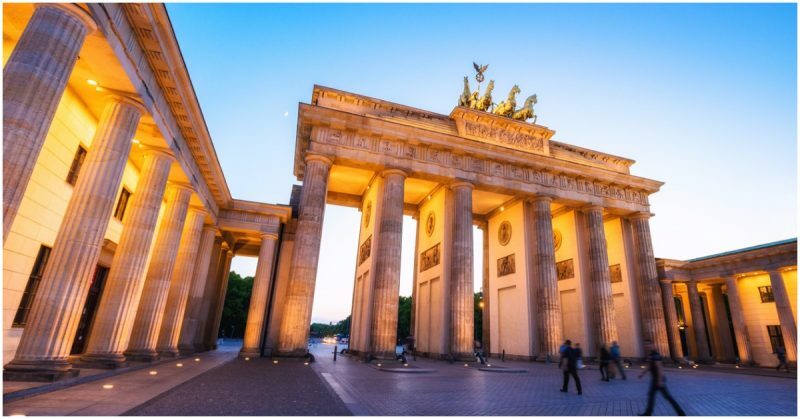 Right from 1933, when the Third Reich came into power, Berlin was always thought of as the epicenter of evil and a city a prime target for the enemies of the Reich. Hitler with his blitzkrieg style warfare had overrun most of Europe and a large part of the Soviet Union until Stalingrad. On top of that, he was threatening British and American merchant ships with his state-of-the-art U-boats. However, his success was short-lived after he failed to provide the strategy and manpower for such a multi-front conflict. The summer of 1944 was the first time Hitler faced defeat on a massive scale from the Western Allies, with the US, Free French, British along with others storming the coasts of Normandy. The Soviets had already proved that they would defend their motherland until their death. The Soviets had successfully defended their territories and were now pushing their forces towards Berlin. The Battle of Kursk had given the Soviets the will and initiative to push back the Wehrmacht and Hitler, despite his early victories, couldn’t muster the strength to make a comeback. A meeting between the Allies that decided the fate of post-war Germany it was made clear that Berlin was to be taken. The heartland of Nazi Germany was to be awarded to the Soviet Union. The Western Allies, primarily the Americans, decided not to risk thousands of casualties and let the Soviets do their thing. On the 16th April 1945 the Soviets started their final operation, the plan was to move in from the Oder river 60km from Berlin by forming two fronts, one moving in from the East and the other from the South. Encircling the city was the number one priority for Soviet Commanders, and a lot of manpower was put into this objective. A third division was formed specially to overrun the heavy duty German forces positioned to the North. A total of 2.5 million soldiers were put in for this operation along with 6000+ tanks, 7500 aircraft and 50,000, artillery pieces. From the German side, such an attack was anticipated and preparations had begun a month earlier under the orders of newly appointed Commander of Army Group Vistula General Gotthard Heinrici, one of the last able Generals in the Wehrmacht. The German army had very few professional soldiers left and was mostly composed of disorganized Wehrmacht, Waffen-SS and Hitler Youth, a special class of soldiers! Apart from being poorly supplied and equipped, they were morally in disarray as there was little hope for victory left. Still, the Germans managed to amass a significant force of 800,000 soldiers, 2000+ aircraft, and 9000+ artillery pieces. The youth wing of the Nazi party, the Hitler Youth contributed a total of 40,000 young boys and girls between 14 and 18 years of age. On the 20th April 1945, the guns from the 1st Belorussian Front of the Soviet Army starting shelling the city’s center and areas of importance, something that wouldn’t stop until the German army had completely surrendered. The tonnage of ordnance and artillery dropped by the Soviets was more than the total weight of the bombs dropped by the Western Allies previously on the city during their raids! Such was the level of destruction. In the meanwhile, the 1st Belorussian Front advanced towards the East and North-East while 1st Ukrainian Front hammered the German forces North of Berlin. The 2nd Belorussian Front was tasked with dealing with Hasso von Manteuffel’s III Panzer Army, already famous for its ability to survive under siege. From the Axis, Field Marshal Ferdinand Schörner’s Army Group Centre tried to break through the encirclement from the South. The strategy was successful to some extent and the forces engaged the 2nd Polish Army quite successfully. However, quickly the strength of numbers proved decisive and the Soviets were once again on the offensive. Later the outspoken Field Marshall explained to Hitler that manpower was the main factor that was now becoming the biggest worry of all and the war was almost lost if a pull-back was not ordered, Hitler went into a tearful rage. The scene has been popularized by the film “Downfall”, and Hitler blamed his Generals for such a result; he announced that he would stay until the end and commit suicide! In desperation, Hitler tried to move his troops along the Elbe Rivers where the Americans were stationed in a defensive position as a final move to rejoin two of his IX Armies. When the Soviets broke through the city’s defenses the German Command and Control was in complete confusion as all of the major buildings and offices were under gut wrenching artillery fire. 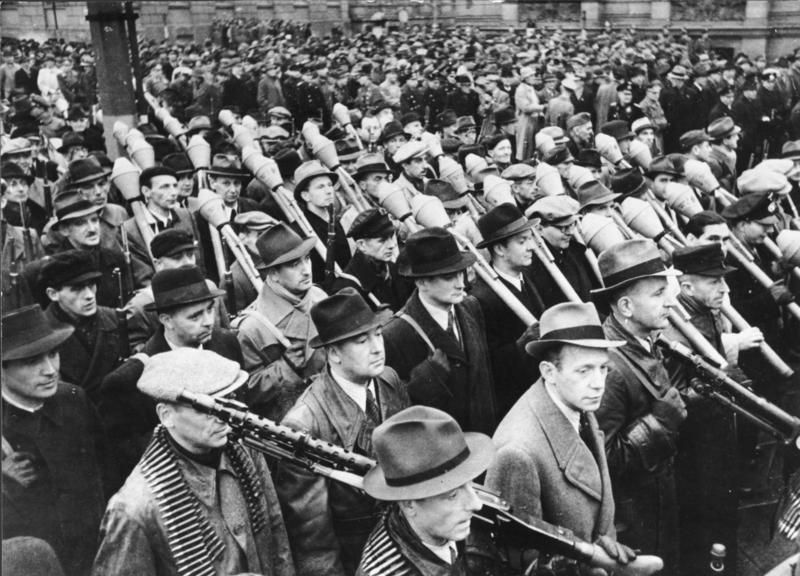 A total of 45,000 soldiers and 40,000 elderly men were available for the defense while calls were being made for civilians to bear arms. Hitler still had the energy for one final push left and appointed SS Brigadier Wilhelm Mohnke as the commander for the defense of the central district including the Reich Chancellery and Fuhrer Bunker, the two key points in the entire city. With over 2,000 men under his command he tried to carry out his duty in a well-organized manner and proved to be a ferocious commander, often pushing the Soviets back for a short while. On 23rd April, the 5th Shock Army and 1st Guard Tanks of the Soviets stormed the city from the South-East and overcame an attack by the Germans. Without meeting any more resistance, they captured the Berlin S-Bahn ring railway. Three days later 8th Guards Army and a tank contingent raided the Southern suburbs in Berlin. Soon enough the Germans holed up in the center were facing 5 separate Soviet groups. The early hours of 29th April marked the entrance of the 3rd Shock Army into the Reichstag area. The Reichstag building had colossal importance in the hearts of Germans as it had rich cultural history tied to it. 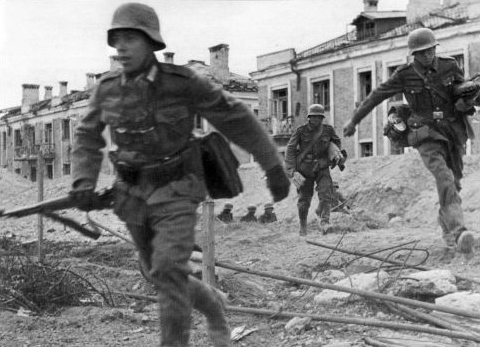 Both the Soviets and the Germans engaged in hand to hand combat in the streets and alleys. No corner or hiding spot was safe from grenades filled with all kinds of explosives. When the flag was raised over the Reichstag by the Soviet Army, Hitler lost all faith and signed his will. During the early hours of 30th April, Hitler was informed that defenders would run out of ammo by nightfall. That night was Hitler’s last and he gave authorization to his troops to break out of the encirclement in any way they want. That afternoon, Eva Braun, whom Hitler married a few hours earlier, both committed suicide. Their bodies were cremated nearby. This was the most momentous moment of the entire war and the Allies had clinched a great and definite victory. The only thing left now was clearing out the last few pockets and bring the conflict to an end, for once and for all. The Soviets fanned out into all the parts of the city, and any building that couldn’t be cleared was reduced to rubble. The clearance operation was carried out for the remaining duration of the war and by 1st May, the Germans tried to make a final run for it. However, the attempt was unsuccessful, and most of the remnants were either killed or taken prisoner after surrendering. General Wiedling, the last remaining commander of Berlin, surrendered too and officially signed the instrument of surrender to the Soviets. A final count revealed that Soviets sustained 81,116 dead while another 280,000 were wounded. A total of 2000 armored vehicles were lost. Whereas the Germans lost a total of 500,000 men and most of its armor. The Soviets were in no mood to go easy on the Germans so stole whatever they could and took a total of 470,000 men as prisoners. The world as a whole had gone through hell and came back. Many thought of this victory as something that would usher the world into a vast period of peace and prosperity, but another confrontation was about to kick off between the East and West, the Cold War.